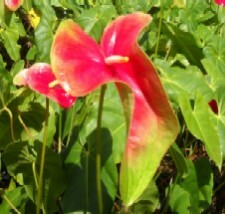 Here are some of the freshest, finest Anthurium flowers from our farms on the Island of Hawaii. These exquisite flowers are perfect for anniversaries, weddings and other special occasions. You can buy one variety of flower or you can mix and match varieties. Please note that these flowers are shipped as loose, cut flowers to ensure the highest level of quality. You will need to arrange them in your own container or vase. Our minimum order size for flowers is $100. Please review our policies before ordering, and contact us for prices and availability.